The Law Offices of Gerald Desmond limits its practice to insurance defense and the defense of self-insureds. 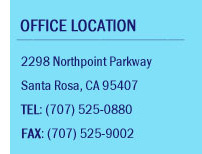 Our office defends cases throughout Northern California, with an emphasis on the North Bay Area. Jerry Desmond opened his law firm in 1993. The firm prides itself on its accessibility and responsiveness to its insurance company clients. We are committed to providing our clients with a cost effective and aggressive defense.